Accident? Jaqua Chiropractic Can Help! 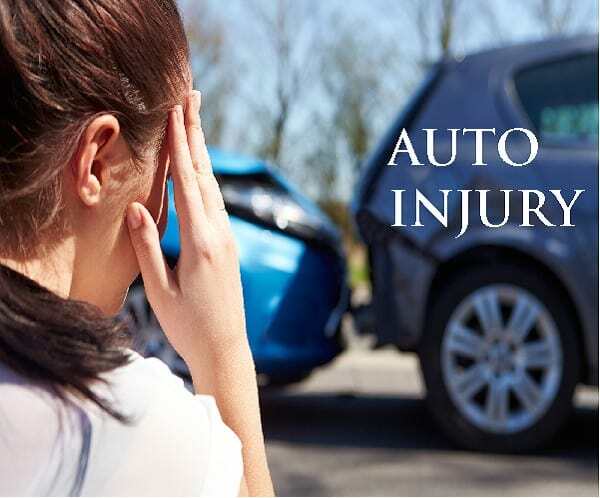 Navigating an auto-injury case alone, can be confusing and scary. With Dr. Jaqua on your side, you can focus on getting well. We can help you understand how treatment and payment work in automobile injury accident cases. It’s easy to see damage on a car, but your body may not tell you it’s damaged right away. We’ll help piece you back together (using the latest, gentle and proven techniques) before permanent damage settles in. Injuries from automobile accidents are more common than you may think. After an auto accident, you may experience some neck and back pain. However, symptoms may not be present right away. It’s common for people to develop chronic issues as a result of even minor accidents. These problems might normally be dealt with by a doctor. However, visiting a chiropractor is the best solution for most people because it doesn’t involve drugs or surgery. An X-ray will not catch micro-tears that occur in your soft tissue after an auto accident. These microscopic tears in the muscle are one of the main reasons people experience extreme pain the day after an accident. They are caused by whiplash in most cases. If your muscles are jerked very quickly, you will likely experience some negative side effects. A chiropractor will be able to realign your spine and help your body release IL-6, an important anti-inflammatory substance the body produces to help with acute injuries. When your neck and back are injured in an accident, the inflammation that occurs afterward is going to cause even more problems. It will slow the healing process because blood and nutrients won’t be able to make it to the areas they need to. Chiropractic adjustments will mobilize your spine and allow it to begin the healing process faster than normal, which will feel amazing as it’s happening and even better the next day. Most people think of old wounds on their skin when they hear the words “scar tissue,” but this type of tissue can also form inside the body as well. Muscles will develop scar tissue after an injury because it’s the body’s natural response. However, this tissue will cause someone to feel stiff and uncomfortable for some time, even though it will heal naturally. A chiropractor can target the damaged areas and break up the scar tissue faster than a patient can on their own. This will help someone feel better in addition to healing faster. Studies have shown that people who received chiropractic care after an auto injury experience less pain because the physical manipulation of their body releases more pain-reducing hormones. These hormones are going to help the area that was affected by the auto accident, and also help any areas that were causing pain before the injury. Drugs for pain are not a good solution because they are highly addictive and usually cause more problems than they solve. People who receive prompt chiropractic care after an accident are less likely to experience long-term issues. This method of care has been available for decades because it actually provides patients with results. People who continue working and staying active after an accident are the ones who will recover faster than those who stay in their bed all day. There’s no need to think about taking drugs or undergoing surgery unless it’s absolutely necessary. With most minor auto accidents, surgery is not required at all. It’s important to locate a quality chiropractor to work on your body after an accident. Those who are experiencing pain in the greater Tampa Bay area should stop by our clinic at 3957 58th Street North in St. Petersburg. We have been caring for people suffering from pain after an auto injury for years. Call (727) 347-2225 or stop by to consult with Dr. Jaqua about eradicating your pain. Your body will thank you after the first treatment and you will be feeling much better in no time.